Top rod was previous Fish ‘O’Mania finalist, Kieron Rich, a Daiwa Angling Consultant from Dudley in the West Midlands who caught carp and F1’s to 2 kilos steadily throughout the match to fish shallow with maggots from peg 9 on Ash Pool to record the winning weight of 61 kilos 180 grammes at the Fish ‘O’ Mania qualifier held at Preston Innovation Boldings on Wednesday 15th June 2011. 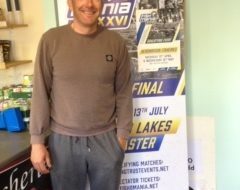 Kieron will also have a couple of things on his mind at the final at Cudmore as his partner Lauren is due to give birth to their first child the following weekend, so it could be a double celebration all round. Runner up from peg 15 on Hawthorns Pool was 2010 finalist Luke Bamford from Nottingham. He caught good carp with the biggest around 3 kilos, down his right hand margin fishing corn over pellet. Luke weighed in with 46 kilos 900 grammes. Rob Hitchens, a Fishery Manager from Rotherham captured third spot almost directly opposite Kieron at Ash from peg 14. Rob placed 45 kilos 460 grammes on the scales the vast majority of which were taken shallow on pellet. His biggest fish was around 1 kilo. 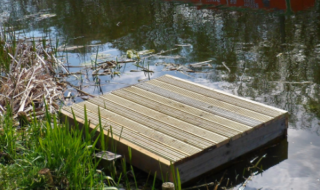 Marc Jones who fished Larch Pool peg 15, secured fourth place with a weight of 41 kilos 920 grammes. He had a very frustrating, and costly day, losing a number of good fish near the weed bed and then losing a top four kit to a fish. Marc also caught shallow, but with caster on the hook. Carl Hulley a Plumber from Rugby also on Ash Pool on corner peg 22, took 41 kilos 340grammes from around the margins alternating pellet and maggot. Unfortunately Carl like Marc Jones, had an expensive day breaking two pole sections. 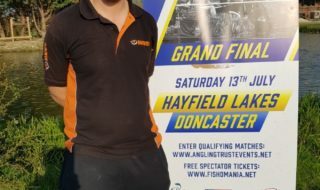 With only three Fish ‘O’ Mania qualifiers left to go for 2011 all eyes will be on Heronbrook Fishery on Sunday 19th June 2011 to see who will be joining the line up to the final in July. 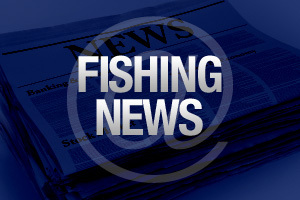 PreviousBring Your Hardy & Greys Reels to the CLA Game Fair.